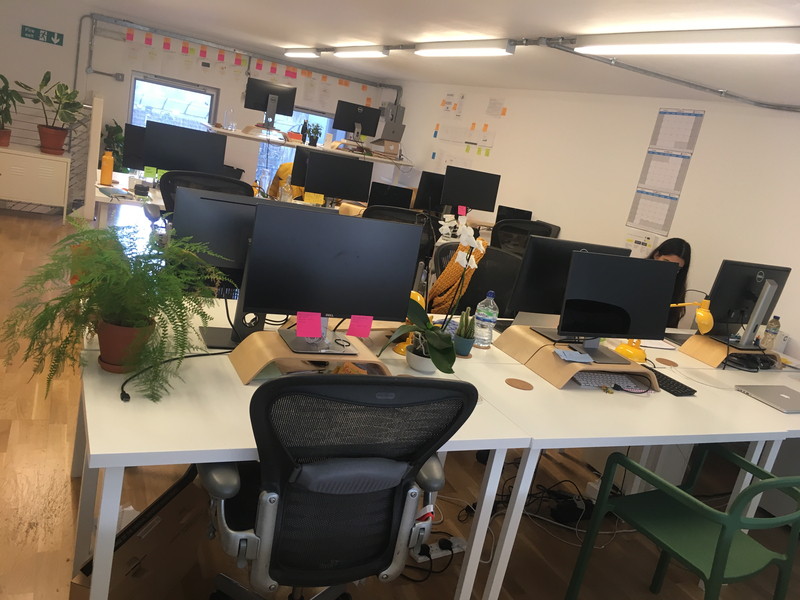 Farewill HQ is a beautiful, bright, private office space in Haggerston, just a minute walk from the station and set between a park, Regents Canal and Kingsland Road. 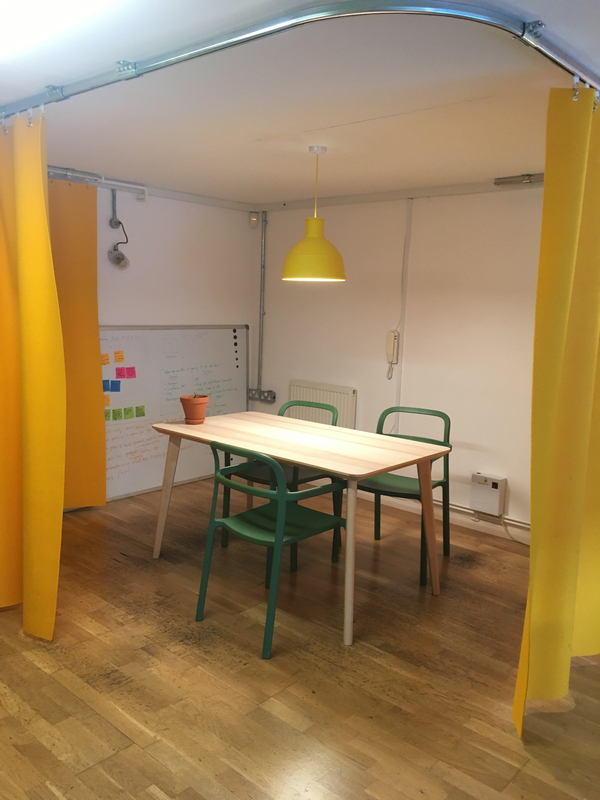 The space is ideal for a startup, with a flexible layout split over two levels (ground floor and mezzanine). Currently, we use the upstairs for desks and the downstairs as social and meeting space. This includes a meeting room, breakout area, large open meeting space, kitchen and a private bathroom. Independent bakeries, cafes and shops nearby. Our lovely neighbours run a coworking space for taste professionals. Less than 1 minute from the station and near several bus routes. 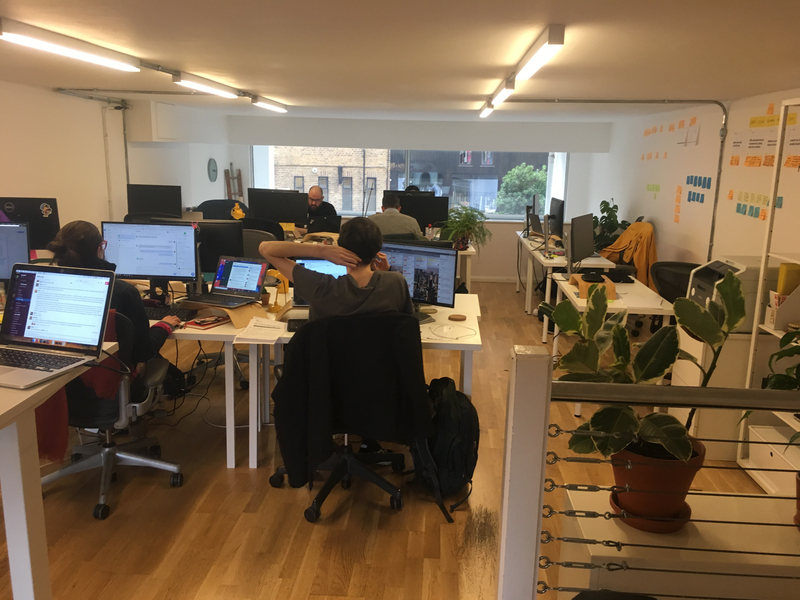 The split level layout is great for a growing team. Large windows allow for plenty of natural light in the space.